Notice his belt, to which a chain would have been attached. I had an encounter in South Africa which made a deep impression on me. 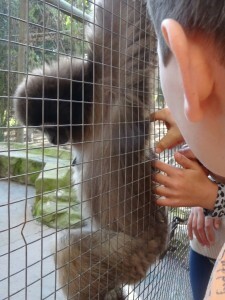 It was with a gibbon. And it was in a zoo. One is not meant to go to Africa to meet southern asiatic apes in captivity. But that is what happened and it has made me think carefully about the parts of human society that we project on to apes and monkeys, and the schizophrenic attitude we have towards them. The children wanted to go to ‘Monkey Town’ link , and, to be honest, I did too. Because I enjoy seeing the beauty and variety of animals across the world, I do put aside my concerns and scruples about caged animals and occasionally visit zoos. It is something that causes me pleasure and embarrassment in almost equal measure. And if it is a place I have not visited before, I approach with trepidation. In this case my fears were, for the most part, unfounded. The enclosures were large and well designed, and it was the walkway for the humans that was caged, allowing the monkeys plenty of space to display their incredible acrobatic abilities. 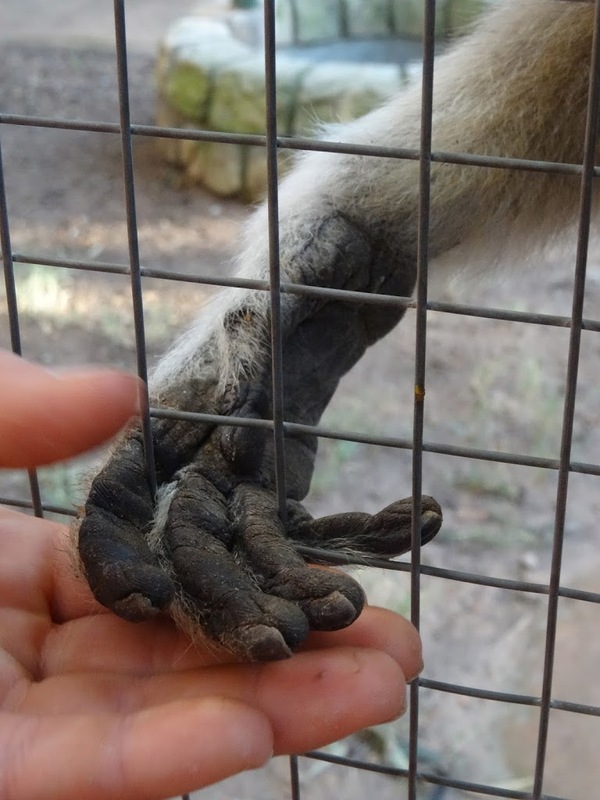 However, what made the visit extraordinary was the desire of many monkeys to interact with the human visitors. 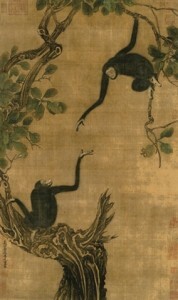 One spider monkey played push-me pull-you with my son and a twig. The marmosets raced us to and fro. 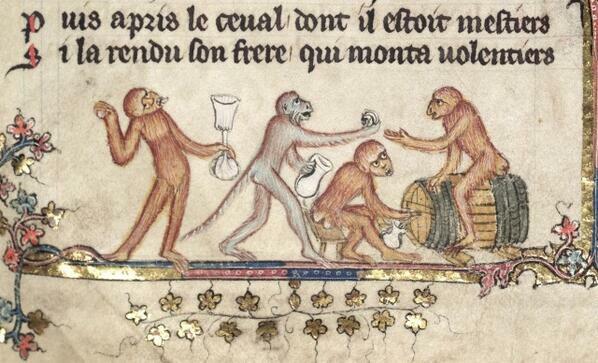 But when we came to the gibbon, things were quite different. 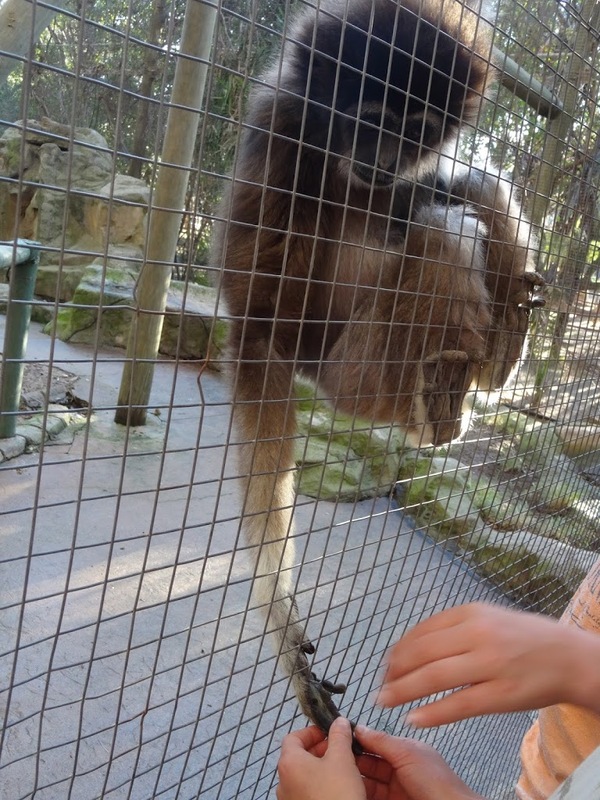 There were several gibbons in a large enclosure, and when I came to the fence a few moments behind the rest of my family, an older female gibbon was already holding my daughter’s hand. She held each of our hands in turn. This went on for some time. Then she turned around and hung, with her back to us, against the wire fence. She wanted her back scratched. All this time she did not make a sound; just gazed at us, calm and self possessed, with her intense melancholy eyes. We stayed with her until the zoo closed. The gibbon is one of the ‘lesser’ apes, due to its smaller size than gorilla, chimp and orang-utan. It is tailless, but still is the fastest and most agile tree-dwelling mammal, due to the extraordinary length of its arms and the clever ball and socket joint in its wrist. Gibbons have been observed to mate for life. Monkey Town is home to many apes and monkeys who have been rescued from neglect or inappropriate environments. There was one who was a recovering alcoholic, as his previous owner had given him beer to drink every day. Although I do not know this female gibbon’s history, it seems likely that she was used to human contact and company, and although there were plenty of other gibbons to interact with and she had obviously born several babies, she sought out human interaction. By contrast, in China where the gibbon is a native, they featured prominently in ancient Taoist poetry, were known as the ‘gentlemen of the forests’ and considered noble. Gibbons were believed to be able to live for hundreds of years and to transform themselves into humans. Their incredibly powerful voices, calling across the Yangtze gorges, came to represent the sadness and melancholy of travellers far from their homes. But this respectful view did not stop people from destroying the thing they admired in an attempt to own its beautiful qualities. Neither of these extreme views are particularly helpful for the apes and monkeys who have to negotiate the human wasteland or human jungle. Both are merely a shadow, a reflection of us – that we project onto these intelligent animals. We are fascinated by the degree to which they are like us, and not like us – as we are with our own children. Turning wild primates into pets seems to be part of a desire to make them even more like us. Will that help them in this human dominated age? Will it harm them? Having met a gibbon, who was obviously affected by past human contact, I see the contradictions in my own feelings. It was an extraordinarily moving experience to be trusted by a gibbon. It made me hungry for more interaction. 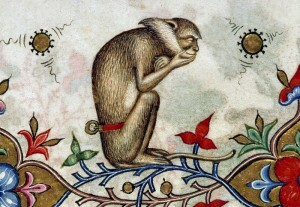 But that gibbon had been forced into our humanised environment. 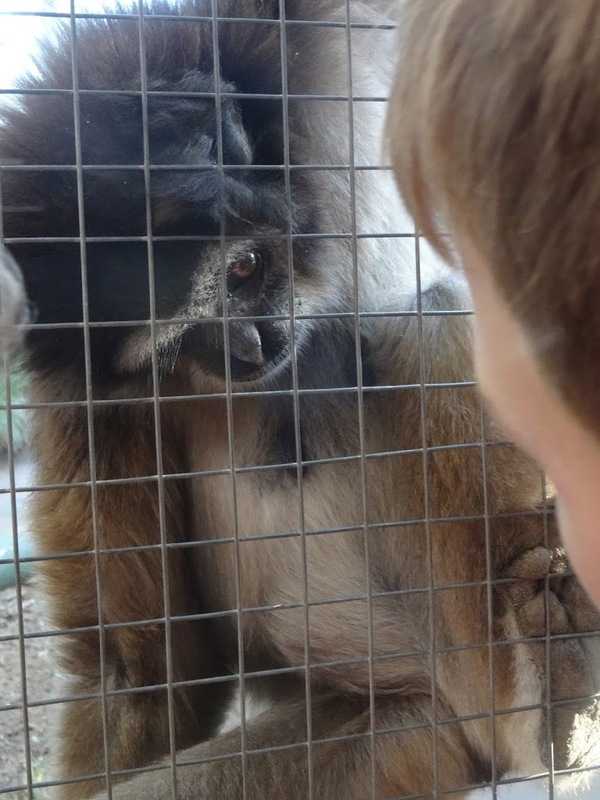 Forced to live in a house and a zoo, and if nothing is done, that may be the only environment in which gibbons do survive. The IUCN Species Survival Commission has declared that 2015 is the Year of the Gibbon. Almost all of the gibbon species are endangered due to habitat loss (99% of habitat in China already gone), hunting and illegal trade. Mother gibbons are hunted and killed, just as they were thousands of years ago, in order to acquire the babies for the pet market. Often, both mother and baby die. In Britain, one is allowed to own primates as pets. One can buy a baby monkey on the internet, with little or no regulation. In 2014, the government decided not to ban the owning of monkeys as pets, claiming this law would be ‘draconian’. They decided that no legislation should be approved until more was known about the situation. Here is part of the response from conservation organisations. and living out their own lives.